Resolve Optics reports that the application entry from the Krsko Nuclear Power Plant (Krsko, Slovenia) has been selected as the winner of its recent ‘Win a Z10 HD zoom lens’ competition. 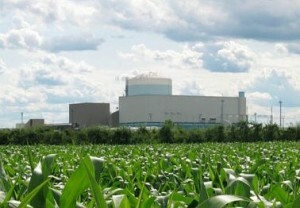 Mr Zeljko Bozic, a maintenance instructor at the Krsko Nuclear Power Plant (http://www.nek.si/en/) said “Our plant has been in operation for over thirty years. Over the course of the past decades there have been many changes in nuclear power generation, in particular people’s increased environmental awareness. These changes are reflected in the Krsko’s everyday operation including its long-term strategy to maintain a high level of nuclear safety. This was our prime driver to enter the Resolve Optics competition. Using the Z10 HD zoom lens mounted on a FPS1000 HD high frame rate camera our aim is to monitor fast transients in Krsko’s nuclear instrumentation and electrical power systems. In industrial environments space is always critical, the small dimensions of the high performance Z10 lens in conjunction with our compact high speed camera will solve a lot of practical problems”. Mr Mark Pontin, Managing Director of Resolve Optics commented “The entry from Krsko was chosen from over 30 qualifying entries as the application most likely to significantly benefit from the unique feature / benefits of the Z10 HD zoom lens”. 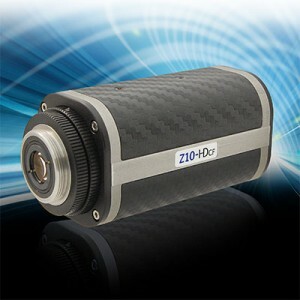 He added ” The Z10-HDcf is a high definition 10x zoom lens that is ultra compact. The lens has a close focus of 450mm and its performance is enhanced through the use of low dispersion glass. The zoom and focus movements on the Z10 use proprietary floating cell technology producing a smooth, light movement ensuring the best performance throughout the zoom range”. For further information on the Z10 please visit www.resolveoptics.com/z10-hdcf-compact-hd-zoom-lens/ or contact Resolve Optics Ltd. on +44-1494-777100 / sales@resolveoptics.com.